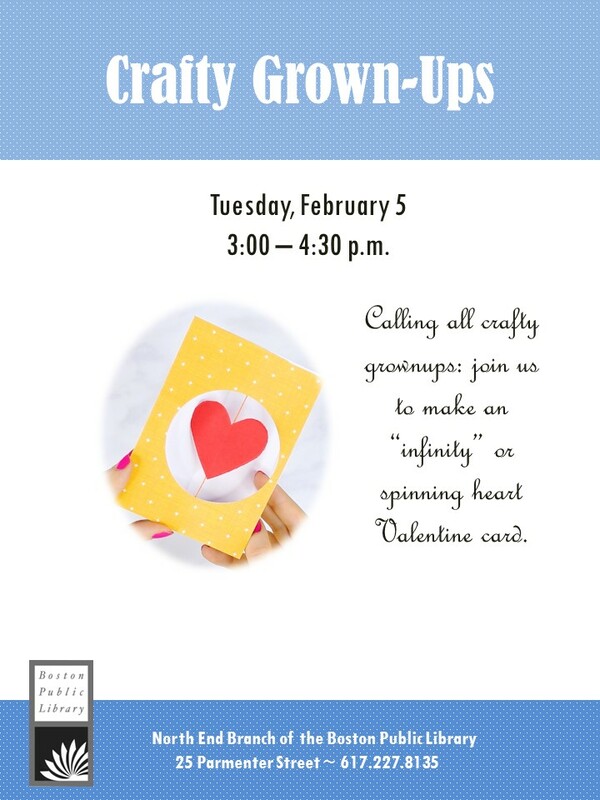 Drop by and make an “infinity” or spinning heart Valentine card. This craft is for adults only. There’ll be a kid’s Valentine card creation the following week, on February 12. When: Tuesday, February 5 at 3 – 4:30 p.m.